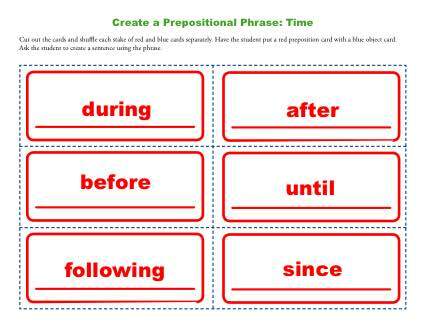 Now your student will work with the prepositions that involve time. Your student will create his own sentences using the cards. What a fun way to work on 1st grade Common Core Standards for Language! Other students may also find it helpful.